In May 14, 2018, we recepted the old friend from Chile. After several cooperation, he had a great trust in our company. 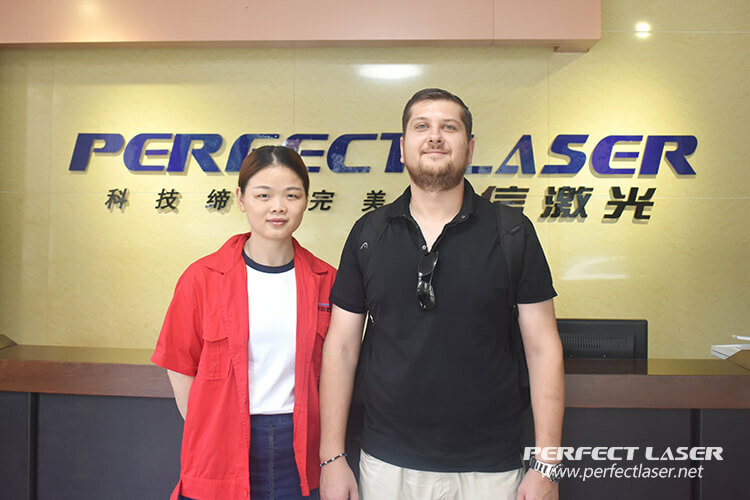 This time he bought the optical fiber marking machine for his company, In his oponion,it is a portable high precision optical fiber metal marking machine model PEDB-400A from our Perfect Laser. Under the guidance of our sales manager Spring,the customer came to the production line and experienced the long-term average power instability of the product under the practice of professional personnel which could be controlled to less than 5% .He thought highly about that. Perfect Laser is a world-renowned handheld optical fiber marking machine manufacturer and supplier. It has always been committed to quality assurance. Here, sincerely hope that those who wish to come to our company which will not disappointed you ! More information, please click in Perfect Laser Fiber Laser Marking Machine.